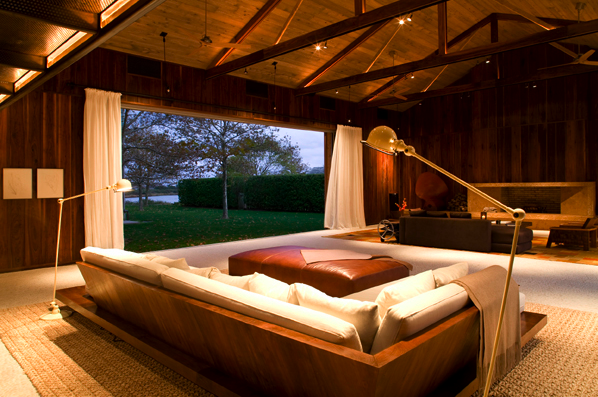 This week's interior will literally blow you away. 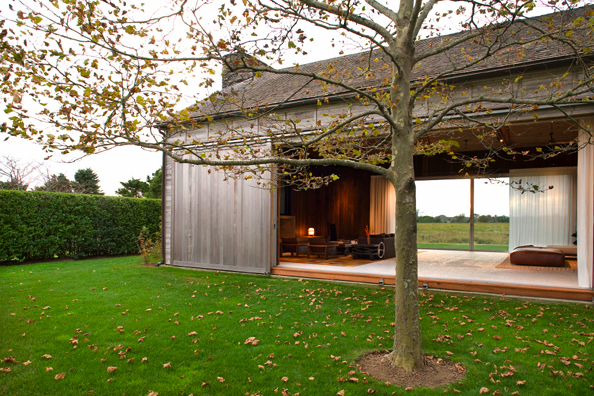 This is a barn conversion in the Hamptons, designed by New York design studio, Bonettie Kozerki. 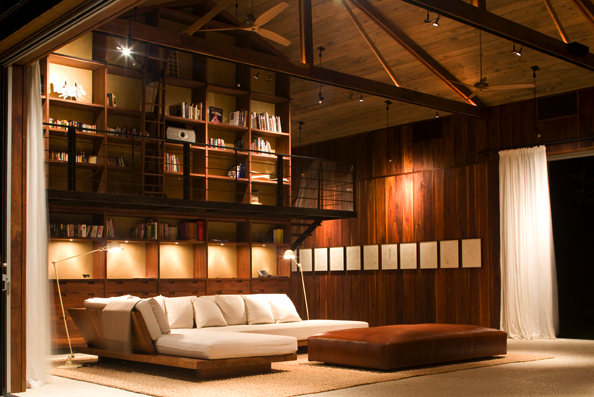 I love the enormous sliding doors on either side of the space and that giant leather ottoman is amazing.